You have a choice of treating doctor from our team of eight doctors who work on a casual basis at the after-hours clinic. Each one is very broadly trained and experienced and motivated to assist. The mix of skills also allows us to offer wide range of medical services including contraception and mental health. 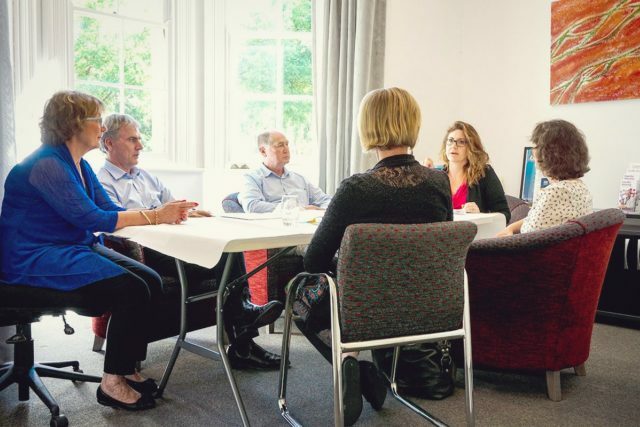 Each doctor is credentialled by the Clinical Committee of DHSA and undertakes the annual one-day educational update in addition to their usual Continuing Professional Development with their respective Colleges (RACGP and ACRRM). 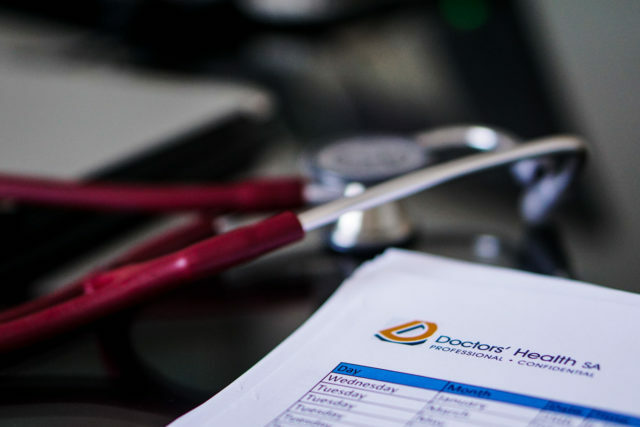 Due to the part-time nature of the after-hours service, our doctors work between one and two sessions each month at the clinic and each doctor performs their own personalised follow-up of test results. If this is not possible due to absence on leave or whilst overseas, results and actions are confidentially followed up by the Medical Director. Our clinic achieved full AGPAL accreditation in 2017. Dr Mike Beckoff is a procedural rural generalist currently working as a locum in rural and remote areas of Australia and has been doing so since 2011. He graduated from the University of Adelaide in 1974 and practised rural general practice, emergency medicine, GP surgery and GP advanced obstetrics at Bridge Clinic from 1977 until 2010, since which time he has been working as a rural and remote locum across Australia. He has been Chair of the Murray Mallee GP Network and Chair of General Practice SA since 2005. His current positions include, Board Director HealthDirect, Board Director ACRRM [Australian College of Rural and Remote Medicine] Board Chair RDWA [Rural Doctor’s Workforce Agency]; Clinical Standards Committee ACSQHC [Australian Commission on Safety and Quality in Healthcare]; SA MET Committee; SA Health Clinical Senate; SA Health College Chairs Committee; Clinical Adviser [Mental Health] CHSA LHN [Country Health SA Local Hospital Network]; Chair SA Health Statewide Steering Committee for Mental Health Shared Care and SA Country PHN Clinical Governance Council. Dr Beckoff has a strong interest in the health of doctors and especially those from a rural and IMG background. Dr Mencel is in full-time urban general practice in Norwood. She thoroughly enjoys the full spectrum of family practice from antenatal care through to geriatrics. She has worked sessions at the doctors’ health clinic since it opened in May 2012. Dr. Jill Benson has been a GP for over 30 years. She currently works as a GP in a private clinic, in three remote Aboriginal communities in the western desert, in the clinic at Doctors Health SA, as a researcher in the Discipline of General Practice at the University of Adelaide, and as a Medical Educator at GPEx, the South Australian GP Training Organisation. She has just completed her PhD in refugee health. Dr Sexton has been a full-time procedural rural GP in Mt Pleasant for 30 years and now works as a rural GP locum across SA. He is a clinical skills tutor at Adelaide University. He has been a past presiding Member of the Medical Board of SA, a past member of the PBAC, the Federal AMA Council of General Practice. He has been a board director of MIGAs since 2012 and sits in its Claims Committee and Risk Management Committees. He is a board director of NPS MedicineWise and the newly formed national Doctors Health Services Pty Ltd. He is the inaugural Medical Director of the DHSA program. He has a strong interest in music and the arts. Dr Lorenzo Ponte has lived and worked in Adelaide all his life. Graduated from The University of Adelaide in 1996, most of his post-graduate training was undertaken in Minlaton on the Yorke Peninsula. After obtaining his Fellowship from the RACGP in 2001, he remained in Minlaton as a rural GP until 2011. Lorenzo returned to Adelaide in 2011 to take up the role of Clinical Director at UniHealth Playford GP Super Clinic where he also consults part time. His strong association with University run clinics at Minlaton and Playford has fostered an interest in medical education and teaching of undergraduate medical students as well as post graduate GP Registrars. Lorenzo has also worked closely with many International Medical Graduates both as a supervisor and co worker and has developed a very good understanding of the issues they face. Dr Sarah Mahoney is a GP and Academic Coordinator of the Onkaparinga Clinical Education Program (OCEP). She is a general practitioner with over 30 years of clinical experience including rural and urban general practice, emergency medicine, and population health / early detection of breast cancer. She is a general practitioner in Blackwood, SA. Dr Mahoney has pioneered the development of an innovative, community-based longitudinal medical education program at Flinders University, She has an interest in e-health, and has previously been clinical consultant to the National e-health Transition Authority and a member of the Royal Australian College of General Practitioners National Standing Committee for e-health. Dr Mahoney is a member of Doctors’ Health SA and is passionate about working to help maintain the health and wellbeing of doctors and medical students for the benefit of the profession and the community.